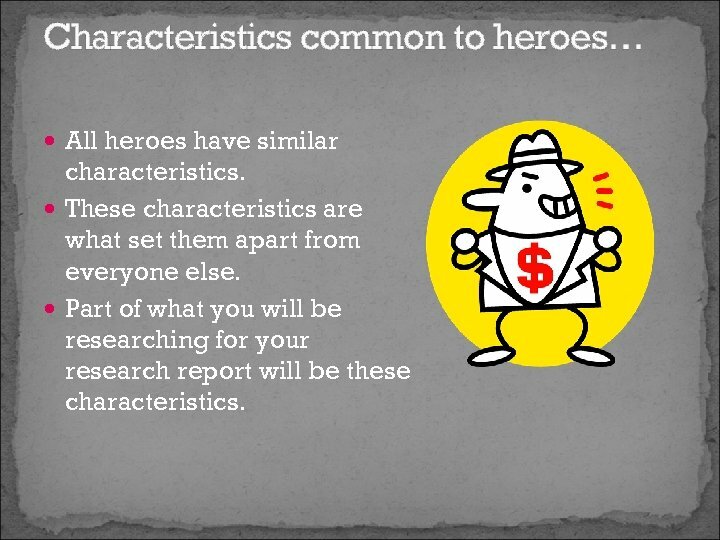 Characteristics common to heroes… All heroes have similar characteristics. These characteristics are what set them apart from everyone else. 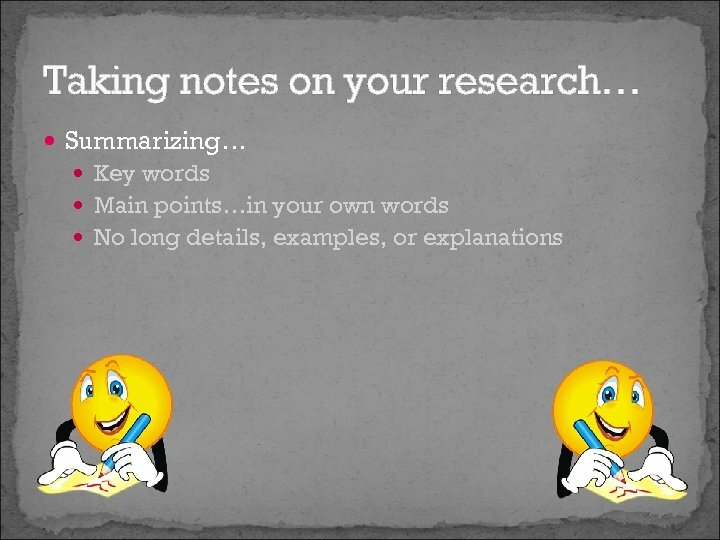 Part of what you will be researching for your research report will be these characteristics. 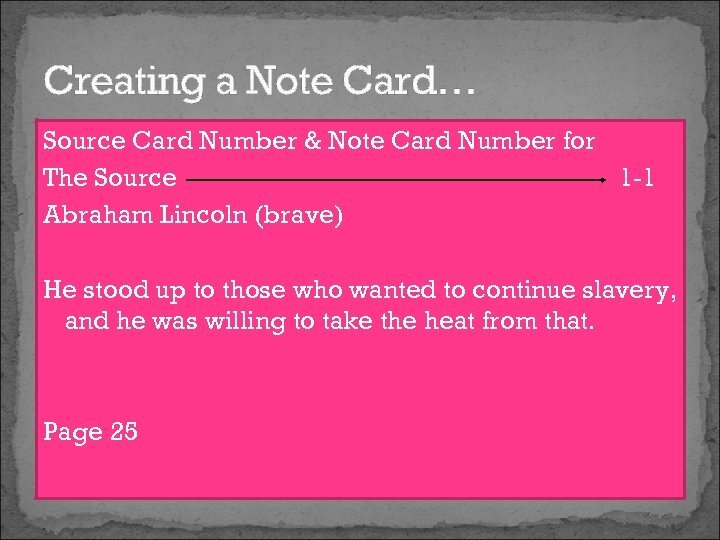 Historical figures as heroes… Many of our most famous historical figures are also considered heroes in some ways. 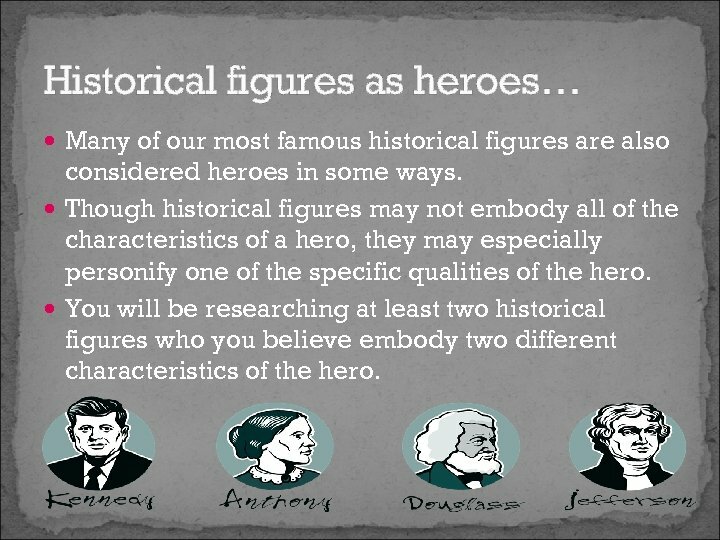 Though historical figures may not embody all of the characteristics of a hero, they may especially personify one of the specific qualities of the hero. 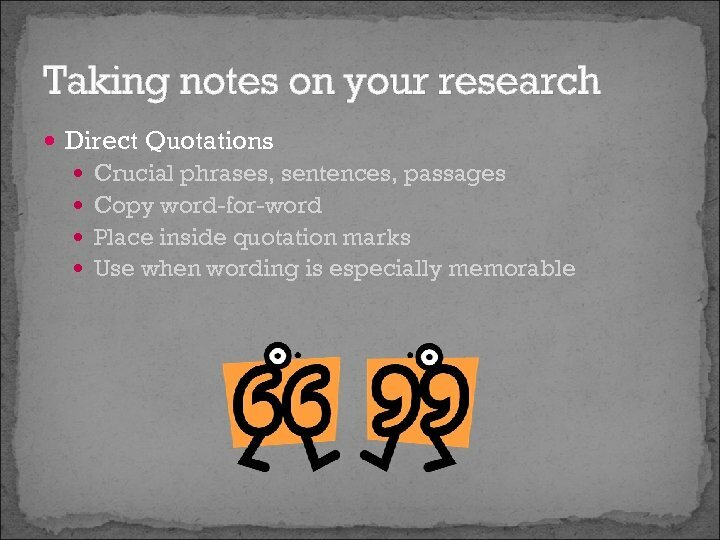 You will be researching at least two historical figures who you believe embody two different characteristics of the hero. 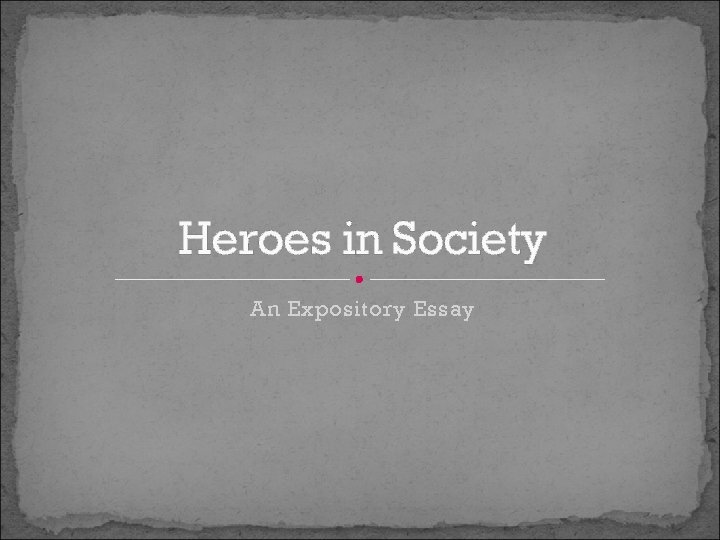 Contemporary People as Heroes… Many contemporary people can be considered heroes as well. 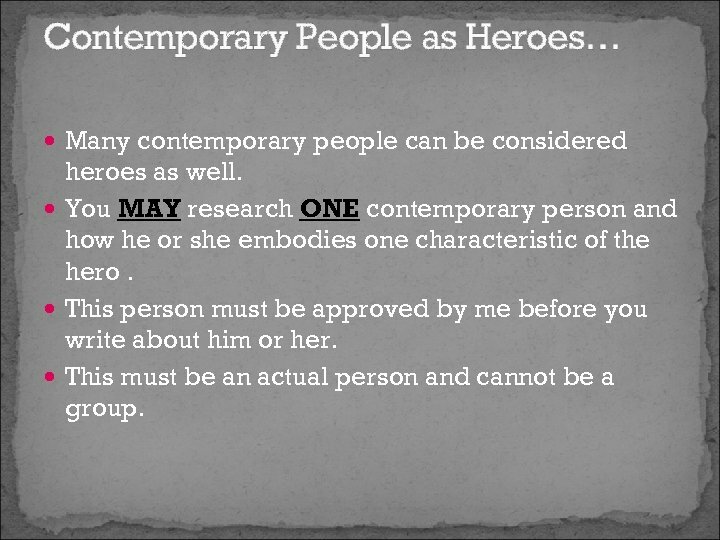 You MAY research ONE contemporary person and how he or she embodies one characteristic of the hero. 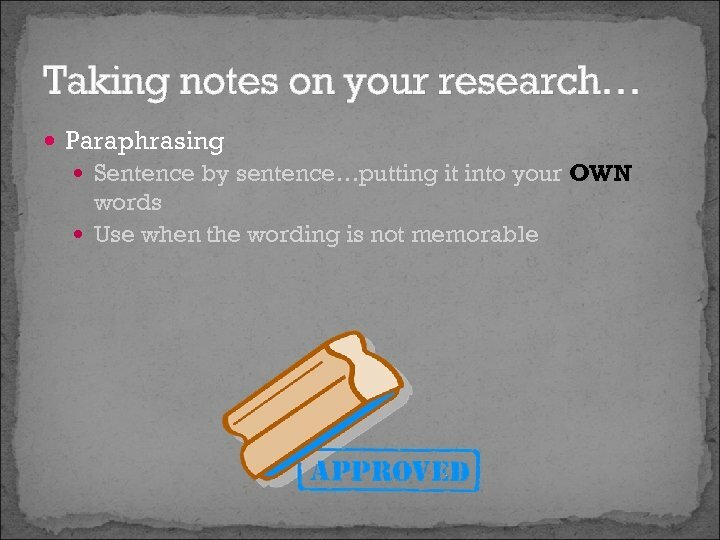 This person must be approved by me before you write about him or her. This must be an actual person and cannot be a group. 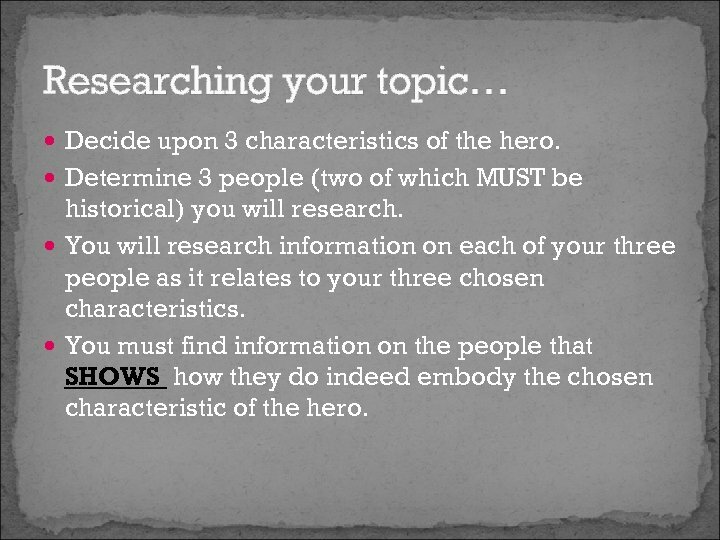 Researching your topic… Decide upon 3 characteristics of the hero. 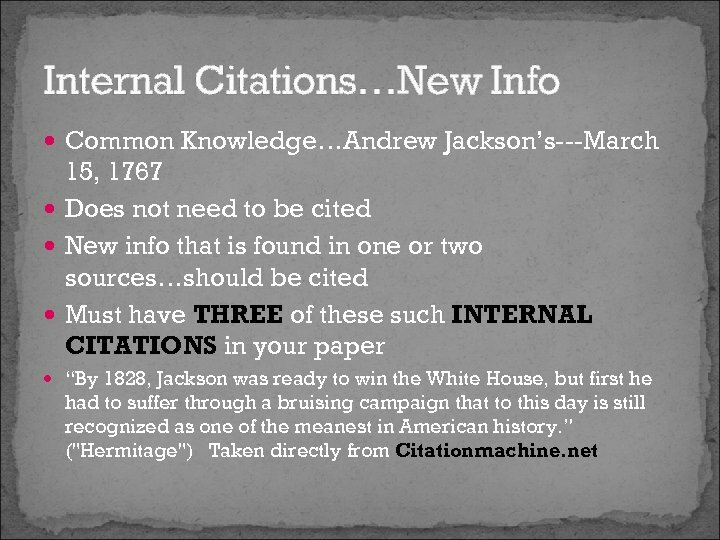 Determine 3 people (two of which MUST be historical) you will research. 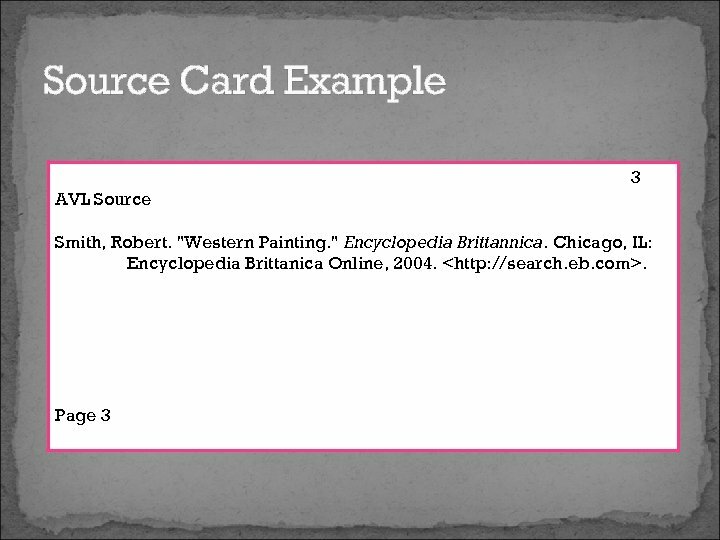 You will research information on each of your three people as it relates to your three chosen characteristics. 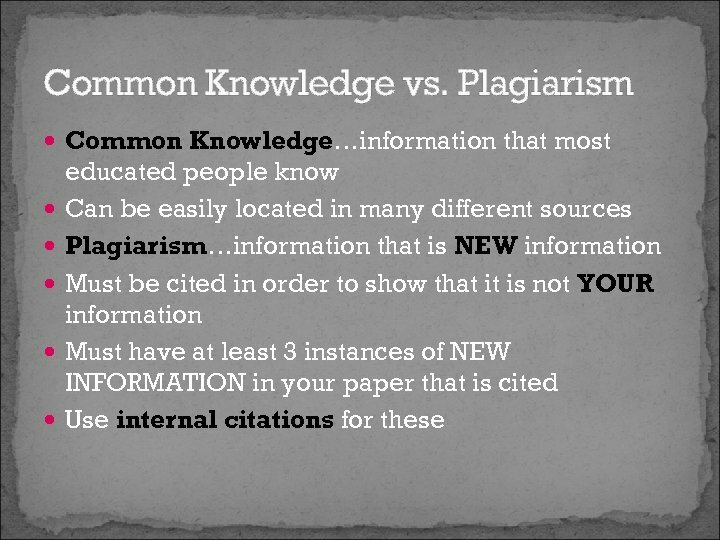 You must find information on the people that SHOWS how they do indeed embody the chosen characteristic of the hero. 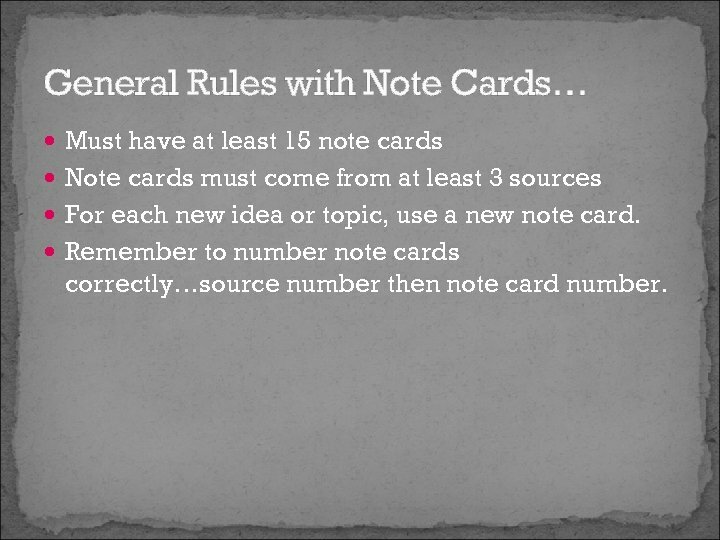 General Rules with Note Cards… Must have at least 15 note cards Note cards must come from at least 3 sources For each new idea or topic, use a new note card. 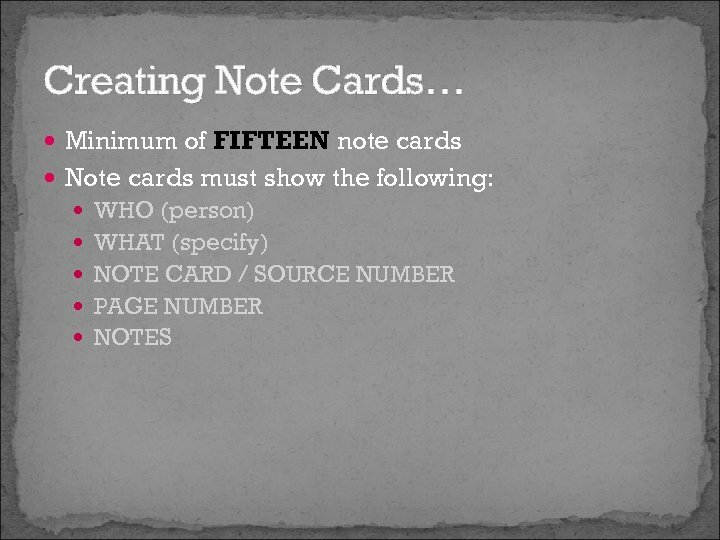 Remember to number note cards correctly…source number then note card number. 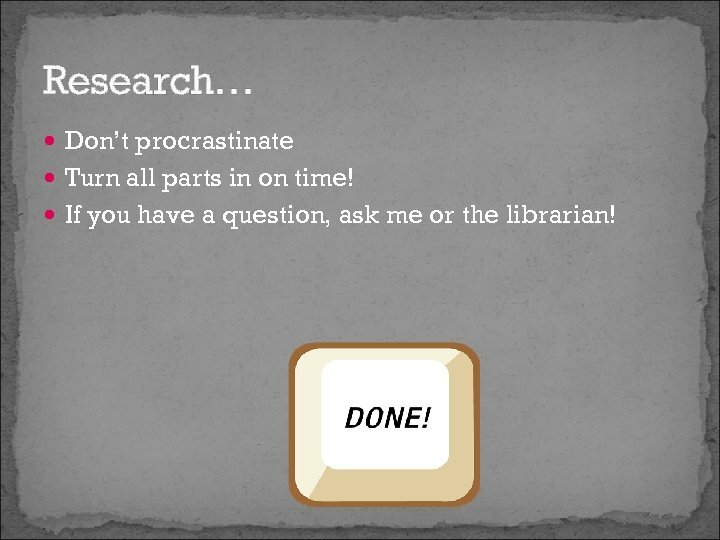 Research… Don’t procrastinate Turn all parts in on time! 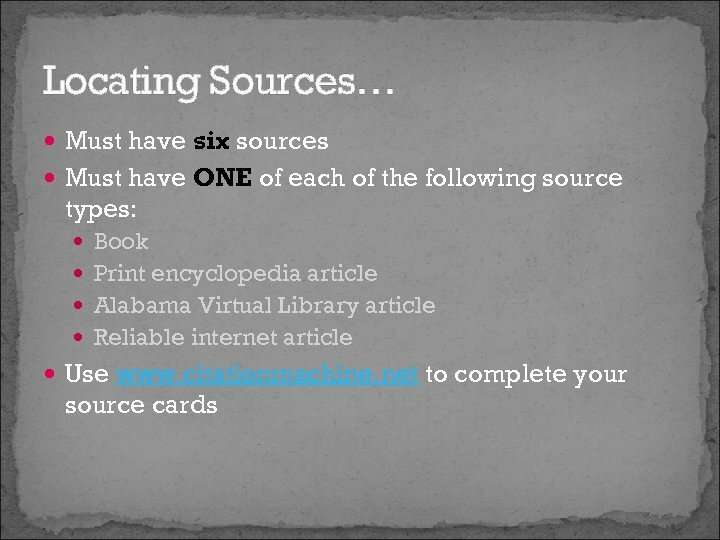 If you have a question, ask me or the librarian!